Enter to win a Snickers Prize Pack including a pair of movie tickets. 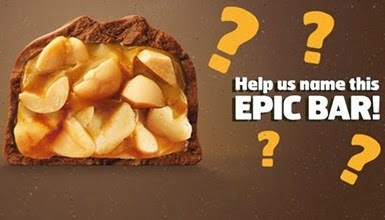 A delicious new SNICKERS® Bar is coming. It has more peanuts, more caramel, and more chocolate. It has more of everything people love most about SNICKERS – except nougat and a name. Mars Chocolate North America has announced that for the first time consumers will have the opportunity to help name the newest product from SNICKERS! The new bar will be out in stores in 2015! Prize Pack includes a SNICKERS bar, A SNICKERS BITES pack, a SNICKERS Almond bar, a SNICKERS Peanut Butter Squared bar, a SNICKERS Rockin’ Nut Road Bar, and a pair of movie tickets. Disclaimers: Only one entry per mailing address per giveaway. The prize will be sent via FedEx or UPS. No P.O. Boxes please. This contest is from Mind on Movies working with Snickers Brand. The entries will be checked via Rafflecopter. You must do what it says on the Rafflecopter option to enter to win.